At the launch of the Canon EOS RP in February we had the chance to sit down with a selection of senior engineers and planners to discuss the R series and its lenses. They talked to us about the RP and the six lenses whose development was announced alongside it, but also gave some insight into where the R series is heading. What's the biggest challenge for Canon over the coming years? One of the challenges from the lens side is that, obviously we switched mount: we added the RF mount. We've kept the same mount for over 30 years, that was really big, and we kept lens compatibility for a long time. But when we started the new mount had to start from scratch and prepare a lot of new lenses, so that's been a big challenge for us. Of course, it’s very exciting that the new mount opens up whole new possibilities in lens design and expand the boundary of image capture. How do you prioritize which lenses to develop? So the idea for the initial four lenses was we wanted to deliver the surprise factor, so we decided to deliver the 28-70mm, as well as the 50mm F1.2, with stunning resolution. That was the concept behind these two lenses. With 24-105mm we thought it would be the best match as a standard zoom lens to the EOS R camera, and the 35mm F1.8 was supposed to be an affordable and compact travel companion. Those were the concepts behind the four initial lenses. With the six additional lenses that we introduced as development announcements this time, we believe we will be able to deliver more surprise factors, for some models compactness. These two concepts with the addition of these models. Canon's RF 70-200mm F2.8 L mockup, alongside the EF version. Although it's not clear from this mockup, we expect the RF version to extend on zooming. So this is largely due to the fact we have this new mount: it has become a really big contribution to designing this really compact telephoto zoom lens. So we hope we were able to give more of a 'wow' factor with the introduction of this telephoto zoom lens. I apologize that this is all we can talk about, as of now, but we hope to talk more about it as we make an official announcement of this product. It doesn't use a Diffractive Optics design, then? We decided not to use Diffractive Optics with this lens, this time, but we are working on this particular technology and we are experimenting with different designs and so forth, to see how we can use this DO technology in future. With lens such as the 85mm F1.2 bokeh is a really important factor, because it's a portrait lens. We really wanted to deliver something that was not possible with the conventional lenses, so we decided to develop this technology of defocus smoothing. There will be two versions of the RF 85mm F1.2L USM: a 'DS' variant will feature 'defocus smoothing' technology. The fact with our DS technology is that it's a coating technology, so it's relatively easy to apply this technology to a range of different lenses. This is all we can say at this moment. There are going to be two versions, does this imply the DS technology is quite expensive? There's a price factor but, with the DS element it's not the case that it's superior in every way. There's some differences: some challenge in maintaining the illuminance. With transmittance, we lose some light as it goes through the DS element, so that is one difference of having the DS technology. So it's not like one version is obviously better than the other. That sounds like an apodization effect. Some lenses designed to match the EOS R and others designed to impress and surprise, what lenses do you imagine EOS RP users buying? At this moment, the best match would be the 35mm F1.8 and we believe the 24-240mm lens that we announced will be a good companion to the EOS RP body. We were able to mount the 24-240mm mockup on an EOS RP body, to give some idea of the size. One thing that's important about our system is that you can adapt a lot of lenses. Truly a variety of lenses: you can adapt some of the really compact EF lenses, that's an option too. Obviously we're working on a lot of really compact lenses in the future, so I hope you'll stay tuned to hearing from us. The pro-level 'L' series lineup looking impressive: how far into the future are you planning? I'm sorry, the roadmap is all we can say for now. We have a full lineup of what there should be: a full lineup of the RF lenses. And what we do among those lenses we choose which to prioritize, that's the concept of how we decide what to work on next. With this many professional lenses being announced in 2019, does that mean a body isn't far behind? All we can say is that we're working on a lot of different types of cameras. I can't pinpoint when a specific camera will come. We understand that expectations are really high. What are the advantages of the faster communication between lens and body that the RF mount allows? A good example is that we are working on a combination of optical and body stabilization, working together to give enhanced IS. That would be a good example of being high speed communication system in RF. There are numerous things that we will be able to deliver, through the introduction of the new communication system. The combination of RF lens and body, the Dynamic Lens Optimizer (DLO) data can be transferred automatically to the body. So users will be able to use in-camera DLO for new lenses without needing to download an update from their computer. We've previously talked about how we're looking another 30 years into the future. We have to think about what might be possible with another 30 year in mind, we have to think that far into the future. So at first glance this communication system might be too much for what's been made possible, as of now. But we have to look so far into the future that this system has to have a lot of potential. Looking back after 30 years of EF lens and mount, we can't help but thank our predecessors for being so forward-thinking: delivering a fully electronic mount at that time in history. We hope we were able to deliver the type of communication system that our future generations of designers, thirty years down the road will be thankful us for being so forward-thinking. So in terms of the six lenses, once we've launched these we'll have ten RF lens models. I hope we can convince our users we’re serious about this mount, serious about this system. We hope your readers will understand each of these designs are unique, and are impressive in every way, in terms of the specifications, in terms of the size. I hope your readers understand the potential of the system. We hope that with the introduction of the RP, the main purpose is we hope we're making full frame more accessible to more people. That's what we're trying to do with this camera. We hope that a lot of beginners in photography will be able to enjoy what is possible with the full frame sensor and we hope to expand the market of full-frame camera, overall. Please don't forget the pro-level camera that you're expecting is on the way. Also important, we see people speculating that we're terminating the DSLR or the M-series development. What we can say is that we're developing, simultaneously, multiple DSLR, M-series and R-series models. Our approach is to leverage our lineup strategy but at the same time, we'd like to listen to our customers' feedback and make decisions based on this. Should we expect to see more lenses like the EF-M 32mm then? 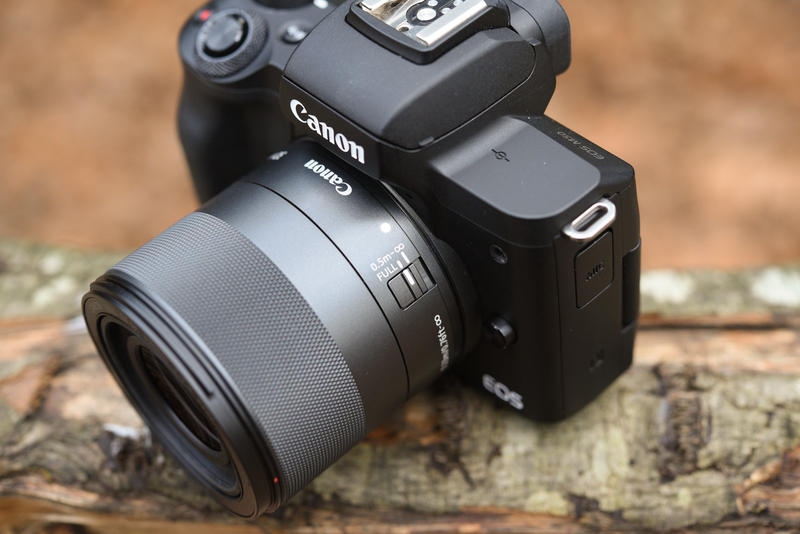 The Canon EF-M 32mm F1.4 is one of the few photographically ambitious lenses available for the EOS-M system. The reason we launched the 32mm for EF-M came from closely listening to users and what the market was asking for. So we were really happy that we were able to deliver something that a lot of users will be able to enjoy and we're really confident about the performance of this lens. One of the goals of the EOS RP was meant to be a good step-up for current APS-C users. We hope it's possible for APS-C users to step up to the FF camera market. We conducted this interview a few hours after Canon revealed the six RF-mount lenses it plans to launch in 2019 and, although they wouldn't be drawn on specifics, we did uncover a few interesting details. The confirmation that the 70-200mm F2.8 won't use diffractive optics was interesting (a Canon patent for an extending 70-200 has subsequently come to light), as was the confirmation that the 85mm DS will use an apodization filter effect to smooth the edges of its bokeh. Canon has only released a mid-level and entry-level R-series camera so far, but its lineup is awash with pro-focused 'L' lenses. On the cameras side of things, the interview confirmed what we believed about the RP: that it's a concerted attempt to expand the market to reach a new type of user that wouldn't have previously considered a full-frame camera (and, as a result, a different type of user than the one Sony has already been targeting with its a7 models). It was interesting to hear Canon confirm that there will be a pro-level camera: something that can be easily deduced from the company's lens lineup, but still good to have confirmed. But it was the statement that Canon is working on a combined in-body and in-lens image stabilization system that most stood out. Many of these are themes that we took up with Canon when we met them at CP+ in Yokohama. There'll be further insights coming in that interview, tomorrow. When you have a chance to interview someone from Canon how can you possibly omit any discussion about improved dynamic range in upcoming models? In other words - should those of us who like to shoot in low light and high contrast conditions bother to wait? If so, will such a camera able to match or exceed reasonably priced Nikon and Sony cameras be exclusive to only millionaires? My mistake - though there was mention and talk of a new high end body, the interview apparently was about lenses. I'm not sure I'd characterise low light as being an area of particular weakness for Canon, but we did ask them about sensors, in a more wide-ranging interview. "Optics with this lens, this time, but we are working on this particular technology and we are experimenting with different designs and so forth, to see how we can use this DO technology in future." "The fact with our DS technology is that it's a coating technology, so it's relatively easy to apply this technology to a range of different lenses." Nice to see Canon finally jumping on the old Minolta apodization bandwagon... but I know from personal experience that it's pretty hard to make it work as smoothly with just a coating. The Minolta/Sony/Laowa STF lenses all use shaping of smoked glass, which is easier to precisely control. In any case, it's actually not so easy to apply successfully to various lenses because any vignetting will compromise the smoothness of the bokeh (by clipping the OOF PSF). The Minolta 135mm and Sony 100mm STF lenses are carefully designed to have virtually no vignetting, and the Laowa's slight vignetting is why it doesn't produce as smooth bokeh. I have serious doubts that Canon's 85mm f/1.2 will be fully free of vignetting, and most of their fast lenses certainly aren't. Aa i see thank you!! Canon lacks a bit on sensortechnology lately, but on optics they are quite unique and still in some ways leading. Canon and Nikon have already lost a lot of photographers, mostly wedding photographers from what I can see to Sony. They are as slow as molasses to come out with new cameras. How old is the d750? When they do eventually release the pro mirrorless that they won't discuss, Sony will just one up them with the tech they are probably already sitting on. People who are not loyal to a system will switch again if the technology shift into another direction... other people only switched the bodies and kept the way more important lenses. 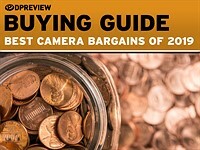 The switch from Sony to Nikon, Panasonic or back to Canon is a no-brainer. Now the old ones only have to deliver.... let's wait. The future is always open. Nothing safe for Sony. never was. vscd - Yes people will move back to a brand that they formerly abandoned. My first DSLR was a Nikon, then I switched to Sony, and then to Canon, and I'd be quite willing to switch back to Nikon, Sony or even try Panasonic or Pentax if they produced the "ideal" camera and lenses for my needs. Unfortunately none of that changes the fact that Sony have a considerable lead over Canon regarding sensors, both in terms of image quality and AF technology. Much as I'd like Canon to catch up or overtake Sony in this regard, I just don't believe it will happen. Nikon had the sense to get Sony to manufacture their sensors. I think they'll bring out a better specified "Z8" within a year or two, and by combining Sony sensor tech with Nikon glass and Nikon ergonomics they'll have a real winner on their hands. 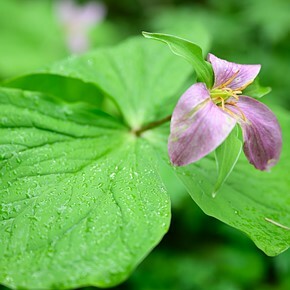 Canon insist on going it alone, too proud to use Sony sensors. Despite great glass and good ergonomics, they may well end up as a lens-only manufacturer. I just have to say that 70-200mm is really something to see compared to the EF version. None of that weird DO stuff inside either. Knowing what it is and then the dimensions of it, Wow. For me (30 years of Canon work behind me), Canon can not push people to full frame with RP-like-cameras. The lenses are much to expensive and to big für most enthusiasts. People can now get a 24-240 mm folded in a smartphone and they will get an 1.8/35 too (simular). These times are gone and they will never come back. For a real good camera-system you need thousands of euros and the passion to learn every day and carry it around every week. They only thing what I would have liked from Canon, was a Alpha 9 camera with RF-Mount for under 4000€ - with better ergonomics. They didn't deliver - so I use Sony instead. What they will bring, will not catch-up with Sony - so they can try it with lenses. EF and EFs and EFm mounts are dead. RF leads to very expensive lenses - like every new mount today. They only way is, to cut RF-lens prices in half - they will never do. the adapter can not deliver the AF-speed - it will only be fast on 5DIV. The decision to bring the most expensive super-teles for EF-mount was wrong - and they will loose the pro-sports and wildlife photographers! Now they can only make 2.8/300 mm and 4.0/500 mm for RF. EF cameras will continue to be developed as stated in the article. I've tested the 2.8 400 L IS III on the EOS R, 5DIV, 80D - can't say I saw any AF performance dips on the R with the adapter. I don't own the lens yet - that's coming to me this year - but I was very pleased with the performace. Dpreview missed something: the name of one Canon executive - the Lady seen in the back. no like yet, try again. It's interesting that you talk about growing up. Yes, you should. OK, vscd, you are right, carry on. Good thing to push the envelope. The sad thing is the new mount does not solve any real life problems. Canon needs to tap into the other markets. The people buying cameras today will eventually die off. Good business strategy. That's why Canon is always #1 in the camera industry. They grow up from the ground with solid foundations, with brilliant vision and respect the past. Should have ask them why it took so long to bring out a FF mirrorless system. Too slow Canon, too slow. If you ask me, still too early. EVF are not high quality enough yet. They will get better and there is still the pro model to come out. Not much news here; even the chick in the background looks bored. Everything but the sensor. Even in-body stabilization but still no sensor. Bite the bullet and buy the sensor, guys. I'm tempted to say your fortunes will change overnight, but since you're already #1, I guess that's not very persuasive. Does that mean they're not focusing on the M line-up and hoping we all go FF? Don't these guys realize there's a difference between a 500$ kit and a 2300$ kit? Like a full annual salary of a Dentist in Egypt? Well, looking at the comments towards the bottom of the interview I would infer that they are categorically NOT ruling out the M series bodies and EF-M lenses. Logically they form an important variant to their R series and that is portability. Sure the new digital bodies are small, but the lenses aren't and nor are they cheap. The M/EF-M range fulfills the market for small, portable MILCs. Ebrahim - M series cameras are among Canon's biggest sellers, especially in Asia, so development of bodies and lenses will surely continue. However, Canon doesn't seem to believe that purchasers of M cameras are "serious" photographers, and that I think is why they only offer a very limited range of lenses for that system. What else do people shoot? I guess a 2.8 zoom and a Longer portrait prime would be nice but that's it really for a complete system, especially when the EF adaptor fills the gaps, for things like 300mm+ primes and super exotic stuff that are large anyway. What I really need frim the M system to be developed is BODIES! I desparately need a Canon M for my lenses that shoots 4K at S35 with no crop and works with DPAF. And many need a sports capable camera, with a deep buffer and 10+ FPS. That's where they truly lack. Bodies. The lens line-up is the most underrated in the camera world and is better for most people than the highly touted Fuji X line-up that seems to have formed a cult around it. I love the M lens line-up, fills everything up in a small cheap package. I think Canon's business model is to acquire as many business as possible. It is illogical to manage such a big company by putting many resources to a relatively small business sector. They have to balance all their business units in order to build a healthy global corporation. Ebrahim Saadawi, Isnt that a 7Dm2? Or do you mean just as good but only 500$? a6400 ish type camera I guess? //One of the goals of the EOS RP was meant to be a good step-up for current APS-C users. We hope it's possible for APS-C users to step up to the FF camera market. Does this mean M mount going to be abandoned? I would really despise if they make RF mount APS-C camera. 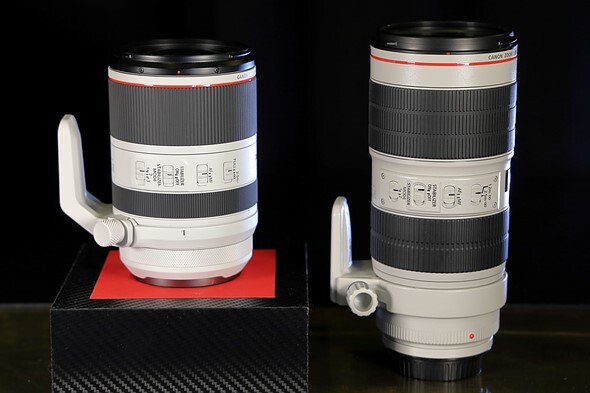 It seems like Canon doesnt agree with putting the big lenses on the M style body. Surprised more people arnt talking about the snippet when he mentioned IBIS. People here lose their minds when a camera doesnt have IBIS. But no one is talking about it in this thread at all. Then I will. I can happily live with a camera that only has optical stabilisation, but IBIS is still a major attraction, primarily because it would enable me to use (cheaper, lighter) non-stabilised lenses. I don't think we'll see IBIS on a Canon camera until 2020 at the earliest. Pentax have managed to put it into their K1Mkii DSLR, Sony have had it for years, Fujifilm now have it in some bodies. Nikon and Canon need to pull their socks up. Yes, what I meant is no one here seemed to pick up on the fact they said they will be putting IBIS in a body sooner than later. Name a camera that doesnt have IBIS and the forum goes ballistic. Steve - In a recent interview (Imaging Resource if I recall correctly) Canon execs made it pretty clear that their IBIS is still in a relatively early stage of development. For example, they always put their best sensor tech into their budget Rebel cameras, and only put it in higher-end cameras a couple of years later. Conversely they always put their best AF tech into the pro DSLRs, and then let it filter down to budget models a few years later. 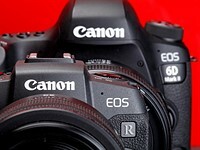 Canon Rumors website predicted that IBIS would appear first in a mirrorless hi-res "5DSR", but Canon has now made it fairly clear that they don't have processors fast enough to power effective C-AF in a high MP mirrorless, due to the extra processing demands of their DPAF, so realistically I can't see IBIS appearing in Canon cameras until late 2020 or even later. Because it is a good thing and some-brand-trolls hate to talk good about Canon. I was surprised Richard didn't comment on that either, seemed like kind of a scoop in a sea of typical non answers and "all we can say for now"... So maybe he *can't* comment on that? entoman that is all true but nothing to do with my statement. 2021 is a year from now basically. Even 2 years not forever to wait for. My 7Dm2 works fine. Actually my 5Dm2 still takes amazing portraits also. I can wait. I still find it odd that no one felt the need to talk about Canon talking about IBIS. 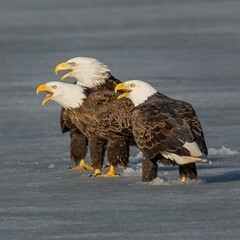 Steve - I was providing additional information, relevant to your post. True, 2 years isn't long to wait, but that's not the point. In 2022 Canon will propbably have a sensor that matches the performance of a 2016 Sony sensor. Meanwhile Sony will have lept further ahead. Canon currently keep their customers due to great ergonomics and great lenses. Nikon are a close match ergonomically and have equally good lenses. Sony lenses are now as good, sometimes better, than Canon or Nikon glass. They are also very aware of the criticisms about their ergonomics, and will quite possibly catch up with Canikon in this regard within 2 years. Where exactly does that leave Canon? But I do agree that it was very odd that dpr didn't immediately jump on Canon and ask probing questions, when IBIS was mentioned. entoman, I also see you were just talking about IBIS when I said im surprised no one is talking about it haha. Thanks. After owning the D7200 and a6000, Canon's sensors are not as bad as DR junkies say. Skin texture/tonality/quality per well is higher on Canon. You have to turn noise reduction off to make skin look decent on the Sony sensor. Which you then lose all that better noise handling. Its weak for maintaining cohesion. It is hard to describe but very easy to see if I could just point to it. Also the deltaE accuracy of Canon works for me. I dont like the fantasy look of Nikon, especially for skin. Its very hard to work with. So, I am happy Canon has that very strong CFA that doesnt wimp out or fail at skin. Weaker CFA can give you better noise and DR but it messes with the quality of the colour. Quality of colour, not accuracy. Different things. The a7III was very good indoors, but I need to test it much more. What's the point of talking to Canon. Canned response is "I'm sorry we cannot talk about future products". Well of course you can talk about future products, you choose not to. Also why do companies only have lens roadmaps and not a body roadmap. Why would I say choose to stay with Canon when we have no idea if they can offer a competitive mirrorless. They gimped the R and RP knowing full well what they were up against, so why should we keep believing they can do better. Many of us have been waiting 12 years for Canon to catch up on sensors and they are still trailing badly. Also why are most of the RF lenses superfast, super expensive and super large. How will that help attract a lot of buyers? You introduce massively crippled camera and have only L glass to choose from. Canon's 'L' brand is actually their most successful asset. It is far more successful than their bodies, which appear to be widely regarded as mediocre. They've replaced their mount. If they don't reproduce their halo L lenses in the new mount users will drift away quickly - the bodies will not keep them interested. They have no choice but to replicate these lenses in RF mount even though in almost every case the extra third or half a stop is functionally worthless in the digital era as opposed to the film one. 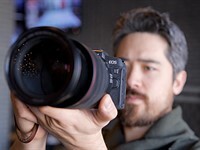 There is the added benefit that people do not expect high-end lenses to appear without a high-end body, so users will feel re-assured that Canon is working on an A9 or A7rIII-style camera, even if they aren't. I understand why Canon has done what it has, just not why people make excuses for it. I know full well what L glass represents, I have about 8 of them. So what's the point of an RP with low price if the lenses cost a bomb? If you are going to releases high end glass then you better damn well have a high end camera for them, not a mirrorless hybrid of a 6DII and 5D4 with glacial AF for tracking. They should have released a mix of lenses. If they were serious they should also released the three work horse lenses 16-35 f/2.8, 24-70 f/2.8 and 70-200 f/2.8 first. There is no point. I personally believe the RP started out as something else. 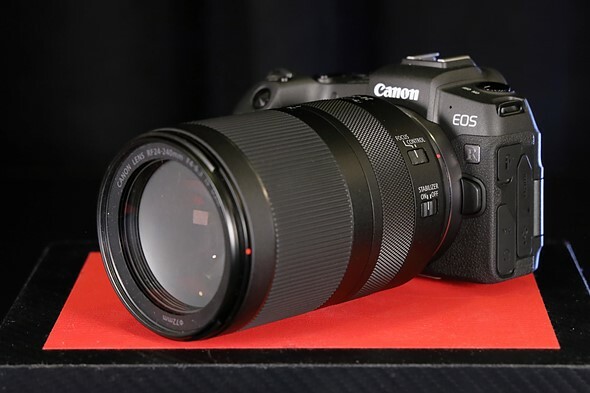 I think Canon originally intended to release it as an A7III-style camera - remember the A7III has only been on the market a year, so the RP went into production before it appeared. I think Canon had to reposition it mid production cycle, load up some entry-level software and release it as a 'FF rebel'. No other explanation makes sense. 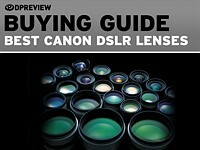 Not only is there no cheap kit lens, there isn't one on the roadmap either. It was clearly designed to be used with the 24-105L. No-one in their right mind believes a rebel user is going to drop 2K on a camera and when they can get a perfectly good m5 and standard zoom for half the price. Rubberdials, RP was and is designed to be a 1300-usd body. It is so obvious. Canon does very detailed market researches and their products are 95% right to target. You don't reposition your product that fast, you actually cannot. You don't just go to suppliers and say "hey do you remember that good EVF and RAMs? Please send worse ones now, we are changing our strategy". These orders must have been given waaaaay before. It's true what you say that Canon has very good market research - which is why I question the absence of a non-L kit lens for this camera. There isn't one on the roadmap either which suggests to me that Canon switched focus for this product. I'm also pretty certain there's no market for this camera at the price. The m5 plus kit zoom is available for literally half the RP body only price at £699 and is good enough for any rebel user. Also how do you explain the Canon powerpoint slide that shows the camera in the second tier enthusiast section? Hahaha... oh please. What FF manufacturer can provide people with a cheaper FF option than canon if you consider the full option? If I wanted FF and was on the entry level side of things, I would go canon. RP with bundles adapter for 1300. And how many lenses could I get on the second hand market with an extra 1k? Cause Sony second hand market is hardly existent when it comes to lenses and their lenses are typically more expensive new. So a entry level person would probably go 35 F1.8 RF, EF 50 stm, and any of the kit EF stm zooms our there. Maybe the 24-240 RF when it comes out. The vast majority of beginners statistically only have 1.5 lenses. As for those whole pro body craze. Meh, it was till last year that sony fans were screening to high heaven than the A7II was good enough. Well the R does better than it. The R is like a mk2.5 if I were to look at the a7 mk2 and mk3, with the former having considerably worse... most things. And let’s not forget the difference between the F Mount and the EF Mount and the impact that difference had on Nikon. Sony is in a similar situation here. Nikon wises up. So... will Sony stick with the FE Mount for 30 years? Or will they eventually want to move up to the benefits of a larger mount? And you know do to people as they did to the A-Mount users? For now I know they will stick to FE. But if the same sort of reduction as the RF 70-200 can be used on other lenses (which means Nikon can too) it will be a differentiator for sure. "One of the goals of the EOS RP was meant to be a good step-up for current APS-C users. We hope it's possible for APS-C users to step up to the FF camera market." Well, that's not possible if you are an EOS M/EF-M user. Those particular Canon APS-C users are out of luck, unless "a good step up" means leaving your EOS M/EF-M investment behind since EF-M and RF are incompatible systems. As for whether the M is dead, I think it's only a matter of time before Canon puts an APS-C sensor into an RF body. Think of a cheaper version of the RP (maybe in the $700-800 range) with an APS-C sensor in it. "Canon puts an APS-C sensor into an RF body. Think of a cheaper version of the RP (maybe in the $700-800 range) with an APS-C sensor in it." M is the best selling mirrorless in Japan and other places. It is not dead. This forum is the odd place. We should realize this. not difficult as most EF-M lens is budget priced"
Money is money. I run both Sony APS-C and FF mirrorless concurrently because they are all interchangeable. No money wasted. No need to dump my Sony APS-C lenses since I can still use them on my Sony FF body. Canon always tries to cripple things unnecessarily, which is really annoying. They did the same thing by not allowing their EF-S lenses to be used on their FF DSLR bodies-- something that Nikon, Pentax, and Sony don't do (they all allow you to use your APS-C DSLR lenses on their FF DSLRs). After all, these are your lenses that you paid for, and you should be allowed to use them. Anyways, if you add up what you spent on EOS M, it would certainly add up to something. It's not like it's just a couple bucks. That's why I recommend to people who might even remotely consider going to FF in the future to NOT invest in EOS M, unless you don't mind having two incompatible systems. Its ridiculous to not use something like the Tamron 100-400 on aps-c. Or FF. 160-600 eq in a smaller package and uses the sweet spot of the lens. reverse also true, use FF lens on APS-C body is a waste of the lens, added weight for no benefit"
It's also a waste not to be able to use perfectly good APS-C lenses that you own on a FF body that you also own from the same company. I don't mind having a lower resolution image. The difference is inconsequential in most situations. On my A7II, crop mode yields a 10mp image, which is still plenty enough for most images unless I'm pixel peeping. As for using FF lenses on APS-C, that's also valuable since many FF lenses will *never* be made specifically for APS-C! Where are Canon's or Nikon's 70-200/2.8 lenses for their APS-C DSLRs? Soooo many FF lenses are not available as APS-C lenses (and probably never will). By refusing to use FF lenses on APS-C bodies, you are simply imposing an unnecessary restriction on your lens selection. That's up to you, but I think it's ridiculous. With the bigger mount, all the RF lens will be big and heavy. That is good for high end user, but for regular user, it is a negative factor. Did you see the 70-200? Its almost half the size. These are FF lenses. They can only be so small because of the sensor size. But have you seen the 50mm 1.2 RF? It's a monster. I'm definitely holding tight on to the EF system for lens size for certain scenarios while also welcoming the higher quality but holy-crap-they're-huge RF lenses. I'm still very sceptical that Canon is further developing it's DSLR line. It makes no sense. 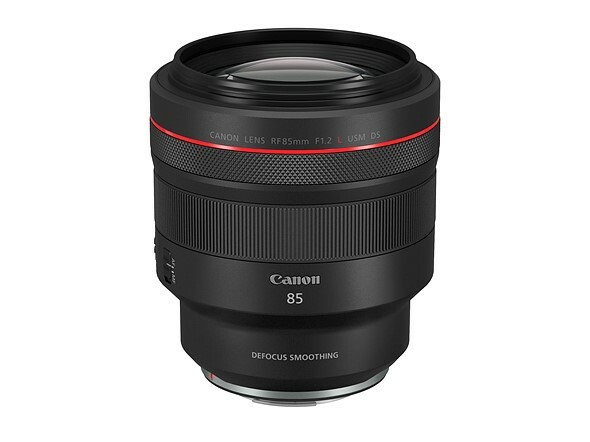 Once the currently announced RF lenses are available, and other RF lenses, all Canon's most up to date professional lenses, with the exception of the long white lenses will be RF mount, and therefore not usable on DSLRs. This points to Canon expecting that it's professional base will be turning to the RF mount. I'm sure that Canon will be producing DSLRs and supporting this line for quite some time. It's also likely that new DSLRs which have already been largely developed will appear. Maybe even a few lenses. However, whilst Canon will never officially announce the end of the EF mount system, I cannot see them investing any more in longer term R&D of the EF mount system. It only makes sense if they aren’t able to develop their mirrorless full frame bodies. Just keep plugging away at the tech they know. SteB - Canon's professional base will only switch to their mirrorless line when R series cameras can offer features and performance that is superior to that of their DSLRs. 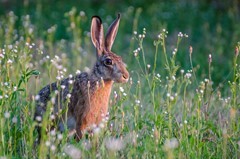 Currently cameras such as the 5DMkiv and 1Dxii offer substantially better battery performance, clearer optical viewfinders, faster burst rates and higher build quality. Canon already have the 1Dxiii undergoing field tests. There are strong rumours that a new hi-end APS DSLR will be released soon (with the build quality of the 7DMkii and the specification of the 80D). Also a budget "Rebel" model will be released very soon. They'll continue developing DSLRs and EF glass for as long as there is a demand for it, although obviously the EF line is already mature, so it makes more sense to concentrate immediately on RF lenses. Personally I'd *much* rather have an upgraded 5DSR (with more DR, less high ISO noise, and a faster 7fps burst rate), than a "pro" EOS-R. They likely are releasing all those bodies because they were too far along to stop those trains. YnR - Not at all, the demand for DSLRs is still currently far higher than the demand for mirrorless. But of course, Canon won't dump components that are already in the manufacturing pipeline - hence they used an up-sized 7DMkii sensor in the 5DS, and currently use a 6DMkii sensor in the RP, and a 5DMkiv sensor in the EOS-R. Similarly when the next high MP model is introduced, it will almost certainly be an up-sized 80D sensor, which will equate to about 60MP, and an almost 2 stop improvement in dynamic range compared to the 5DSR. Arguing with people that have the newer(EVF) is better disease becomes tiresome and irritating. Especially when all of us have had EVFs almost 20 years ago already but they think we are dinosaurs and have no idea what an EVF is. After the current batch of announced RF lenses all hit the market, the RF mount will still be missing such obscure niche lenses as 16-35F4, 70-200F4, 100 macro, and anything above 240mm. Canon has no choice but to continue feeding EF for at least a few more years. I'm glad to hear they aren't messing around with DO for the RF 70-200. @DPReview, thanks for that article. Just to be sure, in the future it's not technically possible to have a DSLR with the RF mount, am I correct? It's only the other way around, i.e. RF cameras with EF lenses using an adapter. You are correct. It's not technically possible for *any* DSLR regardless of brand, to accept *any* lenses with mirrorless mounts. due to the short flange distance of the latter. As entoman says, lenses designed for mirrorless cameras are mounted where the mirror box would be on a DSLR, so there's no way to mount them and have room for a mirror. Too bad, I was already dreaming of a hypothetical 5D Mark V witheither an EF mount or a RF mount. Like what they did for their video cameras for which you can choose between EF or PL mount. 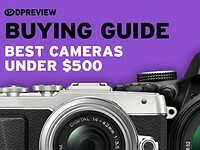 Why doesn't dpreview question them about being so behind on their sensors and press them to catch up. Good way to not be granted an interview the next go around. This is the elephant in the room but it won't accomplish anything for DPR to ask, "Say, there's a general impression that Canon sensors are infrerior to Sony. Have you heard this and if so, do you plan to address it?" 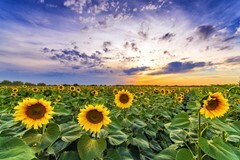 Dpreview have successfully pressed other manufacturers and positively influenced changes. For example the Sony RAW compression. My intention is not to throw crap at them or antagonise them it's rather to get them to acknowledge the "issue" and then fix it. I am genuinely interested in canon glass and canon has always has the right stuff for me, their bodies and sensor is what I find difficult to buy into. I hope that Canon keeps working on the M series of cameras and lenses. I too cynically have read their answer to be not so good for that lineup. I think that there's a lot of appeal for the M series; they're small and pretty decent. So it would be a shame to see them go. It'd be nice to see a 15mm F2, and perhaps a 70mm F2 macro. A brighter zoom lens would be cool as well. Maybe a 16-35 F2.8 would be something nice to think about. Those that demand F1.4 glass should be able to find their needs fulfilled nicely in the full frame systems. That horse is dead you can stop beating it the market has spoken on the importantance of base ISO DR. Here’s a hint not very important to the majority of photographers. "not very important to the majority of photographers"
Actually, it's very important, to a lot of photographers. But many don't realise it. Don Lacy - If you shot on film, would you choose your film carefully or just fit a below par product, with no consideration about grain, sharpness or tonality? There is little point in fitting high-end glass to a digital camera if its advantages are negated by a sensor that, compared to "opposition" products, has high levels of noise, lacks sharpness and has limited dynamic range. ..... and I'm a Canon user, and in common with most other Canon users, I'm disappointed that Canon lags 3-4 years behind Sony in terms of sensor performance. The market as a whole doesn’t care about sensor too much. You might think otherwise but it’s likely due to confirmation bias. Basically, I don’t think one should expect Canon to react to less significant demands. Fortunately the market is diverse. Just give up. Barney if it was very important they would have realized it by now it’s by now considering how long it’s been beaten to death online. The simple fact is the majority of the market has no clue how to properly process Raw files to take advantage of it and those who do know better methods of increasing DR then pushing it in post from a single file. Is it convenient yes has switching to a 5DMKIV made my life easier in post yes do I need that extra stop the Sony sensor has no not really. chriswy - Unfortunately if I were to "just give up", I'd either have to wait 5 years for Canon to catch up, or switch brands (which I don't wish to, as I like Canon ergonomics and I'm heavily invested in Canon glass). As things stand, my Canon gear produces stunning images, but requires me to spend an inordinate amount of time in PS and/or LR trying to minimise noise while maximising detail rendition. Not to mention the time spend trying to drag out detail from highlights and shadows due to Canon's limited dynamic range. The real problem is that Canon simply don't have the same level of sensor technology as Sony. They really need to swallow their pride and buy their sensors from Sony, as Nikon have done. If your camera's sensor had more dynamic range, and you knew how to use it (and even better if your camera helped you use it) you would unequivocally be able to take pictures that you previously couldn't. Of course some photographers never shoot the kinds of subjects that require wide DR, but that's another matter. There are additional benefits to the more modern sensors that Sony is putting in their cameras (and other brands') - speed is just one of them. Canon is behind, but I expect that it will catch up. Canon isn't the fastest company when it comes to making major technological advances, but when it does, it tends to do it right. Barney - Yes, Canon will eventually catch up, but I really wish they'd move a bit faster! Better high ISO noise control, and a couple of stops more DR, would enable me to shoot in more difficult lighting conditions, and would significantly reduce the amount of time spent in post. Barney I am not arguing the usefulness of DR I am simply saying most of the market has no clue how to and while the 5DMKIV might not be as good as Sony it’s close enough not to really matter. Anyway Canon will be announcing new cameras this year and we will see where they are at when it comes to catching up. entoman by giving up, i mean you should give up Canon. 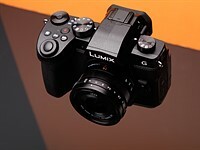 I bet you will find panasonic s1 a great alternative. chriswy - Yes the S1R looks to be the best FF camera ergonomically, and as a landscape camera it would be excellent, but for wildlife and macro (my genres) or for sport, I think the "DFD wobble" in C-AF would be extremely irritating. I'm heavily invested in Canon glass, and eventually we'll see "EF to L" adaptors, but it's highly unlikely that Canon EF glass will focus rapidly and accurately on a S1R, compared to a Canon body. Right at the moment, because of my Canon glass, my only options are Canon and Sony. The a7Riii is clearly the best machine in terms of specification and performance, but I just don't like the feel and operation of Sony cameras. I'm not in a desperate hurry to switch or upgrade, so for now I'm just watching developments and keeping an open mind. Why would a Canon user suddenly find buying an s1 to be a great alternative? The Nikon D7200 also has an amazing sensor. So I bought it. Well, turns out you have to turn noise reduction off otherwise skin tonality/quality is terrible. Now you have recovered some quality of skin but lost the noise benefit. I found that by the time you can get skin to look as good on most Canon cameras, the DR and noise benefits are gone. The only camera that seemed to be able to do a decent job was the a7III. But I havnt tested it enough in daylight. For landscapes, buildings, sure you may see a benefit from a Sony sensor. Steve - Every brand and model has pros and cons, every camera is a compromise between what you need/want, and what is available. Right at the moment, the *only* camera that has all the features, image quality and reliability that I need, is the Nikon D850, but it would be ridiculous to switch brands for what is only a modest improvement in image quality. I shoot RAW, so I can reproduce Canon colour with Nikon or Sony cameras in post. But dynamic range and noise issues are inherent in sensor design, and Canon don't yet have the tech to match Sony & Nikon in this regard. Steve, Panasonic's color rendition is beautiful. A typical canon user will like that. entoman, I bought a D750 and D7200 because the ergonomics are equal to Canon and you get more features per body. I am no brand loyalist, believe me. You are a true master of hue sliders if you can get a Nikon portrait to look like a Canon. Not being sarcastic, if you really can its amazing. White girl in yellow bikini. Good luck. 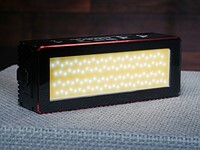 chriswy, I will have to wait to test one and to see the deltaE and Hue charts over at the "other" camera test site first. 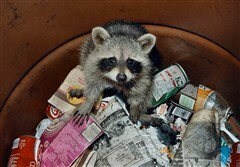 Dumping everything for a Panasonic is a tough sell for normally funded people. Steve - I don't shoot portraits so I can't comment about skin tones. 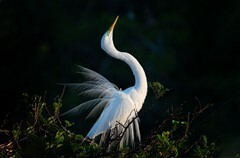 I photograph wildlife, macro and landscapes, and have used Nikon, Sony and Canon cameras. My experience is that Canons (for nature photography) can produce a cool green cast in certain conditions, but it's very easy to correct. 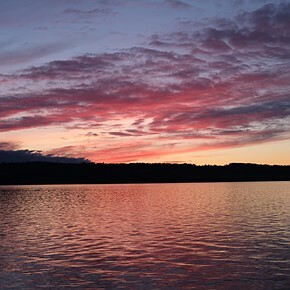 In overcast conditions they tend to produce a purplish cast, but again it's easy to correct. Nikons have a slight tendency towards yellowish, which again is easy to correct. Sony produce unnatural greens and have a tendency towards a yellow-green cast which is a bit of a pain to correct, but what I object to more is the problems with noise and limited dynamic range of Canon cameras. I'd rather twiddle the colour and saturation sliders than spend forever applying sharpening and noise-reduction locally via colour and luminance masking. And I'd like to have another couple of stops of DR, as I tend to shoot in "challenging" lighting conditions. @entoman, I fully understand that. The D7200 truly destroyed my Canons for landscape. Not even close. Sharpness, blues, greens, detail, DR. But my favorite photos are portraits, and skin is just horribly difficult to get right. All those filters and profiles that claim Canon colour dont work. Period. If you prefer Canon colour for skin, you are stuck shooting Canon. These guys seem to miss one simple fact; people interested in the low cost RP body will also want affordable lenses, and I mean $150-400 USD... 50mm 1.8, 40mm 2.8 etc. The current RF 50mm lens is priced at $2,299.00, not exactly a great match to an entry-level body. Of the current 4 RF lenses, 3 of them are expensive L lenses. Of the next 6 announced RF lenses, 5 of them are expensive L lenses. They did mention they were working on those in the interview. People interested in the RP as a low cost FF alternative will have to deal with adapters and old lenses until Canon decide they need to release cheaper lenses in the year 2022. They're presently including the EF adapter for free. That means body, adapter, and lens for less than $1500. They are including the body and adapter, so no, the combo do not includes lens for less than $1500. I think Greg means all your existing EF lenses. Either way what i said makes sense. Since they're including the adapter for free with the RP, users could buy the EF 50 1.8, and the EF 40 F2.8. However, that's not a solution that I'm all that fond of... But, hey, at least those two lenses wouldn't be difficult to replace since they're pretty cheap anyway. A 100$ EF 50mm 1.8 that is guaranteed to focus perfectly is massively interesting and would be very fond of. 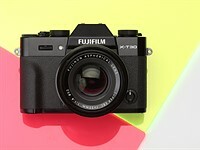 You also have the 35mm F1.8 RF IS, a brilliant cheap lens that can be your only lens if you need, as a Fuji X100. And soom the 24-240mm Seems lovely. Lensing isn't an RP weakness. "The reason we launched the 32mm for EF-M came from closely listening to users and what the market was asking for." As a neutral observer who thinks it would be nice if Canon were competitive, I call BS. Since the introduction of the M mount, there have been 8 camera body releases and 8 lens releases over the course of 7 years. "The Market" has been asking for more than kit zoom lenses all along, and Canon took their dear old time to respond with a standard f/1.4 prime. If they were serious about this lens mount, as they are perennially wont to claim without actually backing those words up with actions, they'd have a lens roadmap for the M mount that looks similar to the R mount. Show us, Canon, that you have 3-6 quality lenses in the pipeline for release over the next 18 months. Provide us with the confidence that you are supporting the 8 camera bodies on the market with lenses people would spend hard-earned money on. With only 8 bodies and lenses, Canon has already taken leadership in mirrorless market in Japan. For my purposes the M6 and the 15-45mm are all I need, so I guess Canon is listening to at least some of the market. They're not serious about the M mount, because the R mount makes M amateur-only. Which is fine, because amateurs need cameras, too. But, they don't need pro lenses. Considering the M series is the best selling system in its target market kind of hard to argue they got it wrong. For context, I was in Tokyo for a week just last month. "Canon has already taken leadership in [the] mirrorless market in Japan" doesn't mean much. It's a single country with a far different relationship with photography than European or North American countries, let alone neighboring Asian countries. Colloquial context: I saw Sigma DP2 Quattros in Tokyo. Being used. By local people. Outside, and not in a store. It's been on sale for 5 years, and I have never seen one in the wild ever in all of the densely populated areas across three continents I've been to. That alone ought to suggest the Japanese market is different than the rest of the globe. You can't cherry pick a data point and use it as an airtight case for why Canon shouldn't do more with the M series. 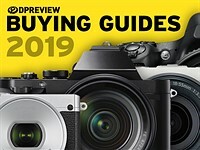 It's like saying, "Fujifilm sells a lot of X-A cameras in Asian countries," and excusing them from the crap 4k video and autofocus in those products. Why not make a better camera if you can? Whyamihere, you want the m mount to be something it is not that’s fine but why should Canon change their marketing and concept of a system that’s successful. Whyamihere, so you were in Tokyo for a week and now know everything about the Japanese and world markets. Don Lacy: It's probably successful, in that it's likely not losing Canon any money. At the same time, again, why not aspire to a larger market that's not primarily contained within Japan? Ozturert: No, but thanks for indicating the errors I made in phrasing that response. I spent a lot of time with local photographers and their artwork, and with people who volunteer time to clean photo prints that were damaged after the 2011 tsunami. There really is a different culture built around photography. They cherish snapshots more than western audiences, their personal relationship with cameras is more intimate (I mean, there are fanboys and stans, but there always will be), and they print their images way more often. I can't say the same is true of the European and American photographers I've interacted with. I wouldn't say I'm anything resembling an expert, but I can say that my observations suggest the regional market in Japan does not resemble or translate to global market trends at all. And also full of people who have EOS R and EOS RP already. And full of people who will be upgrading sometime in the future and will look at what's available to them then, not now, or two years ago. And in five years, the forums will be full of new people who don't even have an interchangeable-lens camera now and haven't yet discovered that they like photography and want one. Time did not stop last year. We have not seen the last camera buyer in history. It's good to see Canon is really embracing their new mount. They resisted change for so long but it's good to see they're now focusing in the right direction. They didn't resist anything. They are the leader in camera market and they have been selling DSLRs (more than all other producers combined, actually). This is not the market you want to lose. Besides, all these lenses are not designed and produced in one night. Imagine you were leader in the CRT market... because that is what being the leader in the DSLR market is. CRTs were ubiquitous once, but now barely exist. Exactly the same thing is happening to DSLRs. Mirrorless will reach a tipping point and then DSLRs will more-or-less vanish over night. RubberDials - There will certainly be a tipping point, but I don't think it will be as sudden as in your example of CRT vs LCD monitors/TVs. At the moment there are still areas where DSLRs have a worthwhile advantage over mirrorless. The transition will I think be quiite gradual and prolonged. No one likes noisy, vibrating flappy mirrors, but equally there are many who dislike using EVFs, and many who prefer large cameras with chunky well spaced controls (thank you Panasonic). It will take at least 3-4 years before Nikon, Canon and Panasonic have a complete enough range of non-adapted, "designed-for-mirrorless" lenses to tempt sports and wildlife photographers away from DSLRs. RubberDials, you have no idea about trade, markets, commerce etc... Electric cars are coming fast but diesel and bensin car producers do not stop production and switch to electric car production in one night. It is a gradual move which only makes sense. Sony wasn't leader in DSLR market so they had to improvise and "invent" their own market. Ditto Olympus, Panasonic and Samsung. They also had to move fast because they knew once Canikon are in the same market they'd have hard time. Hence came 50 Sony bodies quite fast. A Sony fanatic troll would have hard time to understand this "gradual" word, but you would because you aren't one, right? I think this is a Canon perspective. I predicted years ago that Canon users would be the last to go mirrorless. It's a combination of them having the weakest mirrorless technology and being the furthest removed from changes in the industry. An example of this is whenever sensors are brought up most Canon users think it is about DR. They haven't grasped the importance of sensor technology in a camera with no secondary systems for AE, AF, VF and first (and second) curtain shutter. You will often read 'mirrorless can't replace DSLRs yet' - indeed you have hashed a version of that argument. That isn't true even now. Mirrorless can replace a DSLR in every area of photography - just not a Canon mirrorless. and Panasonic's DFD is not suitable for high speed tracking and they also have to buy in their sensor. Canon appears to still do some of their ADC conversion off chip if posters with knowledge and experience in the semiconductor industry on here are to be believed and the consensus amongst those people is that they are years away from BSI and stacked sensor technology. They will also have to develop a masked pixel autofocus system because dual pixel simply requires too much processing overhead in burst and tracking situations. It is the reason for Canon's sedate AF tracking in the R. Additionally it seems that dual pixel cannot ever deliver blackout-free shooting because the pixels cannot focus and capture the image at the same time. camera can be built out like a D5 with a larger, hardier body and battery pack. A camera with better AF tracking than a D5, focus points across the frame and 20fps(+) silent, blackout-free shooting with be bought en mass by agencies for the Tokyo Olympics. Canon has shown how much it fears Sony in this segment by updating all of it's sports lenses with a similar optical formulation to Sony's revolutionary 400/2.8 design, which has most of the optical train shifted to the back of the lens, with concomitant weigh savings and handling improvements. What has Nikon done? Nothing. Their sports teles are now all kilos heavier than those from Canon and Sony. Further proof that they don't intend to contest this segment long term. I already wrote to you following a post you made to a user called Swerky, where you tried to imply I'm a troll. You've also done that again here. I ask you not to do this. It's clear to everybody that I am as far as it is possible to be from a troll and it does you a disservice (as well as me) to invoke that term. Please desist. The CRT analogy is the one I used. I don't think the electric car one is similar as that change is being mandated by law and is not driven by users or manufacturers. Yes, Sony couldn't make headway in the DSLR market (or as much as they liked) so they 'changed the conversation'. Through a combination of luck and having to listen to their users they created the next camera paradigm - the FF milc. And we've all benefited. 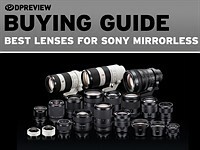 RubberDials - I agree with most of the points you make regarding the superior performance of Sony cameras. I fully understand your enthusiasm for promoting the cameras you use. As you know, I'm open-minded and welcome any factual comments about any brand or model that might be useful in determining whether and when to switch brands or upgrade. The point I was making was that having superior performance and specifications isn't the whole story. There are simply a large number of people who find EVFs unpleasant to use compared to an optical viewfinder. It's nothing to do with capability, more a matter of the visual experience. Similarly there are a large number of people who simply don't like the feel and operation of certain cameras, regardless of their capabilities. When the time comes for me to switch or upgrade, the decision will not be *purely* about specs or performance, it will be highly influenced by usability and user-friendliness - areas where I consider Sony to be weak. I don't know what's happened to people over the last few years but this EVF/OVF debate leaves me stone cold. It's like the Princess and the Pea. 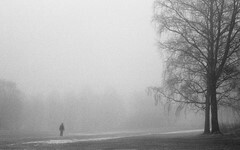 I came to digital in 2006 from medium format film. You can't get better than a prism finder on a Rollei 6003/6008. Looking through any DSLR in comparison is like looking through a keyhole with the key still in. I gave it up to look through an aps-c pentamirror on the Sony A100, but it didn't bother me because at the end of the day the VF is just a framing device and I don't own a camera to look at the world through it, I own it to produce photographs. In my opinion I think if you're devoting any amount of time worrying about the VF 'experience', something has gone badly wrong. The same is true with grips and controls. Provided you can operate the camera they simply don't matter. The idea (and I appreciate you're not saying this) that somehow an A7rIII will stop you getting the shot because of 'ergonomics' (by which people always mean hand comfort, rather than ergonomics) is simply nonsense. People just have prior adaptation, which is recognised in human-centred design. That is the reason why most cameras are more-or-less the same in layout. "A7rIII will stop you getting the shot because of 'ergonomics' (by which people always mean hand comfort, rather than ergonomics) is simply nonsense"
This is why I keep calling you are a Sony fanatic troll. I have used A7RII, A9, A7RIII and A7III. Image quality is fine but tiny and cramped buttons is real and there is no escape from that. No way, if you don't have tiny hands and fingers. When you are actually taking shots and want to change a setting, you just have to find the right button and press it. With gloves it is almost impossible but even without gloves it isn't easy. And you cannot even accept it and blame the people who talk about this. You simply cannot take criticism about Sony. But if it is Canon, you'll bash Canon for every little issue. Look at your last 50 comments, it is so obvious even if you don't accept. Look what you said about Horshack - tried to call him 'Horsesh*t'. You need to rein your neck in as we say in the UK and be more polite. Look how polite he was to rraccad - a guy who can't write three words without insulting people. Anyone can be a d**k online - it shows weak character. There are lots of things I've disliked about Sony. When I had the A77 I hated the fact that the grip had a separate on switch - you couldn't leave it on because the grip controls would change the camera settings rubbing against your body. Turn it off and you'd miss a shot fiddling to turn it back on. It was poor ergonomic design - but Sony fixed it. The A7III grip has an on switch around the shutter release - something some other manufacturers haven't cottoned on to. I didn't like the way that pulling out the rear screen didn't turn the eyepiece sensor off. Again it meant missed shots as the screen went black as your body triggered the sensor. Sony fixed that too. I don't like the design of the A6400 at all. The grip is a step back from the A6500. There are plenty of areas where the cameras could be improved but just because I don't agree with you - and I don't - doesn't mean I don't accept criticism of Sony. I don't find the A7III or A7 series tiny and cramped at all. If you read my post above you'll see I used to shoot medium format. I've used every kind of camera and generally don't get hung up on the operation of cameras unless it is especially vexatious. RubberDials - "In my opinion I think if you're devoting any amount of time worrying about the VF 'experience', something has gone badly wrong. The same is true with grips and controls. Provided you can operate the camera they simply don't matter." I don't agree at all. It's perfectly possible to drive a car that has uncomfortable seat, a triangular steering wheel, a stiff gearstick, and a speedometer that can only be read if you squint. But would you really want to? I think you greatly underrate the importance of the user experience. I feel that we won't see an APS-C R system from Canon and RP shows that they will commit to FF only. Those who have EF lenses will be able to keep them for a while, before they switch to RF. Those who use APS-C bodies with a bunch of EF-S lenses can't expect Canon to sell them more for their system in the future. They would have to sell the camera and all EF-S lenses and switch to R. But then since they're selling all the gear anyway, why stay with Canon? I think there will be a need for a RF mount 7D mkII type body. There's a certain set of professional and advanced enthusiast who needs the maximum reach possible. This includes wildlife photographers, sports photographers, press photographers etc. These are the users of long expensive telephoto lenses, where with FF they would always be cropping to less than APS-C. Whilst in theory high resolution FF cameras allow similar per pixel photos to be created, it means handling huge files and not having the same frame rate. This type of photographer needs their crop sensor body to be immediately interchangeable with their FF body. This is going to be especially the case once Canon introduce long expensive telephotos for the RF system. SteB - Yes, APS-FF lens compatibility is one of the major attractions of Nikon and Canon (DSLRs) to wildlife and sports photographers. And it's not only about extra reach, or about more fps. It's also about reduced weight (faster manoeuvrability) and reduced costs - especially where wide-aperture teles and zooms are concerned. APS cameras also offer lower-priced bodies, increased portability, bigger buffers due to smaller file sizes, and many other advantages. In fact the only real advantages of FF are more megapixels, less noise, and shallower depth of field. "So the idea for the initial four lenses was we wanted to deliver the surprise factor"
DLO = Dynamic Range Optimizer ???? Lens & Camera talk to each other, so the DR improves. Second, it's established fact that the shorter FFD, the smaller the lens. The 4/3 alliance had proved that years ago. Their telephotos are also very small (the Pana 35-100/2.8 & 35-100/4-5.6 & Oly 75-300 for example). So what's in the sleeve that make DPR & Canon 'wow'? DPR members, please help clearify. DLO = Digital Lens Optimizer. Completely eliminates distortion and chromatic aberrations. Nothing I've tried does it better. No effect on Dynamic Range. Hmm .. are you sure? Because Mr. Canon Engineers say otherwise. There are numerous things that we will be able to deliver, through the introduction of the new communication system. The combination of RF lens and body, the Dynamic Range Optimizer (DLO) data can be transferred automatically to the body. So users will be able to use in-camera DLO for new lenses without needing to download an update from their computer. BTW, if it's built-in "lens imperfections" that the lens will tell the body how to correct them, could I sigh? Old Oly people cried, yelled, protested when Oly change the good REAL telecentric, optical correcting, to the 'acceptable', software-correcting, m4/3 spec. Canon walks this same path while trying to brain-wash their loyal customers with hot-air balloon words..
Canon make their lenses to be good without corrections, but still have a database of all the types of imperfections in the lens so all of those can be removed too, using DLO. Previously only available in computers but now in-camera too. It doesn't affect DR (it's "Digital Lens Optimiser"). Oly/Panasonic don't always make lenses that are fully corrected and rely on software (some m43 lenses are pretty good anyway, some have big distortion, indeed I was shooting with one of those today). The lens has a handful of parameters saying how to correct geometry and CA in a simple way, although they tend not to fully correct it (DXO Photolab usually does a much better job, using their own measurements and many more parameters), perhaps as that would involve moving pixels too far, or just the limitations of only having (IIRC) 6 parameters. DLO is really pretty amazing and if I had a camera that could do it in real-time I'd probably leave it turned on. Sorry, typo on my part (DRO being a ridiculous Sony feature name, rather than a ridiculous Canon feature name). By making the lens telescopic. Not much magic here. I think that means NO. "We hope that a lot of beginners in photography will be able to enjoy what is possible with the full frame sensor..."
I bet we won't see many RiP users with the F2 zoom attached lol. Why Canon fanboys can’t grow some sense of humor? No longer with Canon but glad it is doing some progress. 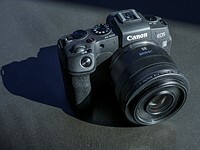 Im looking forward to see this pro grade camera Canon is coming with. Competition is welcome. answer to this question seem to be "no"
That's what I understood, too. Too bad, it seemed like Canon might have wanted to keep APS-C alive for a while there. Canon wants to "push" people into buying FF cameras, but I suspect that "the marketplace" will show them that that's not going to happen. FF buyers pay more and buy more. Where would you invest? Lol. Yeah that was my immediate reaction. Such a pity as the 32mm really shows what can be done with EF-M. It seems a bit of a shame that we’ll probably never see a 22mm 1.4 or 53mm 1.4 in the same mould. Just as well the 32mm is as wonderful and versatile as it is, though. Worth buying a M50 for that lens alone, IMO. As telephones eat up the " small" chip end of the market, we need to differentiate our product on a numeric level. 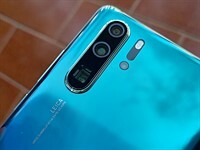 The megapixel numeric is dead, Huawei ate that cake with a 40mp phone. So , we now find its time to talk quality and that means bigger sensors and "L" lenses. Rather seems that the three stooges might try and ensure that for a Photographic Imaging Company , their press and PR photos depict the high end of the profession. - I just want to know which lens was used to shoot the beautiful giant portrait behind the tres amigos. = Don't be an ignorant. That's a master's painting..!! - Oops, sorry. Then, keep on buying our lens, so we can keep on decorating our executive office with expensive tableaux. "We hope that a lot of beginners in photography will ... "
buy our expensive RF L lenses. that have high profitability." , Canon financial document, "though is not good as our old & cheaper EF L lenses"
Mirrorless were touted and marketed as light-&-small. Alone came its huge lenses. 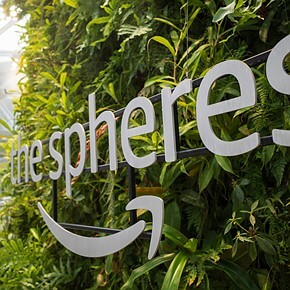 I think you'll have to wait for the next series of releases, but they do say "we believe we will be able to deliver more surprise factors, for some models compactness." I hope that contain EOS M5 mark II... Which can, also should be "The perfect camera". That compact 70-200 looks destined to become legendary. If it has got internal zoom, would be a perfect combo for street photography. They should make an Ef-m 16mm f/1.4 or f/2.8 IS. "One of the goals of the EOS RP was meant to be a good step-up for current APS-C users. We hope it's possible for APS-C users to step up to the FF camera market." Doesn't make sense in my opinion. Full frame is worse for super tele lenses, the Eos RP has about the same resolution as the M50 and the dynamic range of the raw files at base Iso is much worse. FF is just a meme and they are trying to cash in on it that's all. Here is a telling quote for M users, "One of the goals of the EOS RP was meant to be a good step-up for current APS-C users. We hope it's possible for APS-C users to step up to the FF camera market." BP: In other words, perhaps Canon is waiting to see how many M users upgrade to a RP camera before investing much more in their M system. or it actually could be what it actually says versus reading in between the lines. I think this is quite similar to what they did with DSLRs. That being said, they haven't released many new APS-C lenses these past years, maybe some updates to their kit lens and 55-250mm or 18-135mm. Good thing that the current EF-M lenses are good. I hope this doesnt mean, that, since they hope for the APS-C users to switch to the RP, the need for EOS-M diminishes. 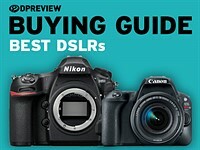 The price difference between an entry level APS-C DSLR and an entry level FF DSLR is still very important. Unless this difference is artificial, I cannot see any reason why it would not be the same between an entry level APS-C MILC and an entry level FF MILC. Which means that, for the masses, an APS-C MILC should be more affordable for the years to come. 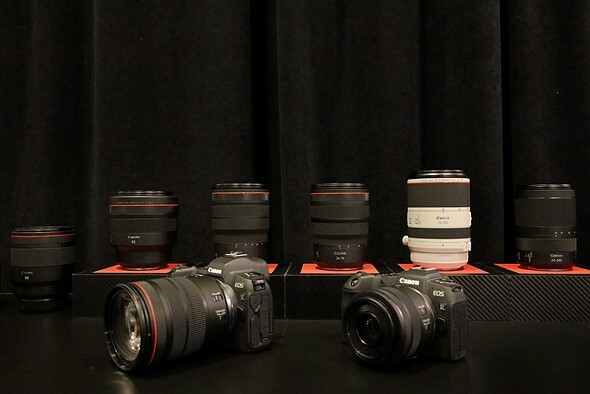 Add to this that APS-C gear is lighter/smaller than FF gear and there is a demand for that, I doubt that Canon will stop making APS-C gear soon.